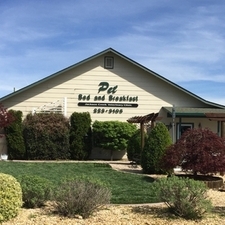 At our Pet Bed & Breakfast, we provide a comfortable, safe environment with lots of TLC so your pet can feel at home while you're away. With your permission, they can even be featured on our social media pages! Reservations are recommended, especially for weekends and holidays. Scroll down for info and prices for cats and dogs. Click here for our Boarding Agreement - you can print and complete prior to drop-off! Monday-Saturday: 8:00am - 12:00pm; pick-ups after 12:00pm will be charged a Day Stay. A 24-hour notice for any cancellations on reservations is appreciated. Small canines, under 20 pounds, are in individual indoor cages. Spacious exercise pens are also available for daytime activity. Large canines are in individual, large indoor/outdoor runs. Guests are kept indoors at night. Felines are accommodated in single two-room units, located in a private room separate from our canine guests. Larger suites are available for multiple feline guests, or for the big bone kitty. A requested play time session is $9.00 per session. Guests may provide their own diets - familiar items from home are encouraged! We want to provide the best care for your pet, but we are unable to provide staff 24 hours.